Details: Each month, we will cover a different topic related to the Young Living (YL) Business Opportunity! Please feel free to invite your friends, family, and your YL team members who are interested in learning more about the YL Business Opportunity! Please be ready a few minutes before so that we can get started right away. Sip 'N Sniff & Make Your Own Essential Oil Roll-On! (April 23)​! Join us for a fun (and amazing smelling!) evening to learn about the many benefits of using essential oils in your daily life (for things ranging from supporting cough/colds, joint/muscle pain, emotional healing, reducing household chemicals and so much more!). If you've been thinking you'd like to earn an extra stream of income, we'll share more info about this as well! Each attendee will get to make their own essential oil roll-on (you can make one for relieving joint/muscle pain, for relieving headaches, for uplifting/boosting your mood, or to reduce the symptoms of cold & cough - you get to choose!). All materials will be provided. Cost: $5 plus gst. Please CLICK HERE reserve your spot - advance payment is required so we have an accurate headcount for materials. Location: Workshop space at 3916 1 Street NE (dark blue First Place Realty office building). Details: Spring is here and it's the perfect time for planting seeds and manifesting! Layer after layer of deep messages within you can be revealed through the sacred ceremony of creating a Soul Coaching Collage®. Join in the magical energy of this group workshop and intensify your awareness and the manifestation of your deepest hopes, dreams, and visions through the creation of your own Vision Board/Collage. You will then be guided through an analysis and interpretation of your vision board to obtain a glimpse into your subconscious! We will be using essential oils to deepen this process. What to bring: A few old magazines (if you have them) - we will have extras so please don't worry if you don't have any. All other materials will be provided. Fee: $27.50 plus gst/fees. Please CLICK HERE to reserve your spot. 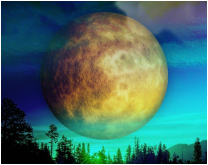 Join us on the next New Moon for a group meditation! The new moon is a perfect time for planting seeds for the dreams and desires in our hearts. We will be using essential oils to deepen our meditation this evening (they will be diffused in the room and passed around as well)! No previous experience with meditation is necessary. Relax, connect, and experience personal growth and transformation in your life. Enjoy the power of meditation in a comfortable group of like-minded others! Chairs will be set up - or you can sit on the floor (please bring a pillow or something comfortable to sit on). Fee: $10 at the door or please CLICK HERE to reserve your spot in advance. Directions: It's located a 30 second drive from the Best Western Premier (formerly Coast) Hotel entrance. When facing the front entrance of the hotel, there are industrial Bay Complexes down the road to the left. Life Science is in the SECOND complex. 2nd door in on the left. What are these essential oils that everyone is talking about?!! Join us from the comfort of your home to learn about the many benefits of using essential oils in our home and daily life (for things ranging from supporting cough/colds, joint/muscle pain, emotional healing, reducing household chemicals and so much more!). And if you have been thinking you would like to earn an extra stream of income, join us to learn about that too! We will start promptly so please be ready a few minutes before so that we can get started right away. Please feel free to invite your friends and family who would love to learn more about essential oils! Past experiences and memories may create emotional blockages and can hold us back from living up to our highest potential. This workshop will help us to forgive, forget, and let go of emotions that are no longer serving us (whether these emotions stem from childhood trauma, relationship difficulties, job-related struggles, family issues, etc.). You will be taken on a guided visualization journey during which you will apply 15 different aromatic essential oils to various parts of your body to help release unwanted past memories and emotions and to generate healing, positivity, joy, and emotional strength. Fee: $30 plus gst in advance - please CLICK HERE. Or $40 plus gst (at the door). Location: Life Science Publishing Calgary Office - 3300 14 Ave NE (Bay #2), Calgary, AB T2A 6J4. It's located a 30 second drive from the Best Western Premier (formerly Coast) Hotel entrance. When facing the front entrance of the hotel, there are industrial Bay Complexes down the road to the left. Life Science is in the SECOND complex. 2nd door in on the left. Here's how it works: Simply place your hand on the cradle, which measures the physiological responses from the body and sends it to the computer for analysis and interpretation. You will find out which essential oil products your body, mind, and/or spirit needs for optimal wellness! The scan itself takes only about 5 minutes! Even if you've had a scan done before, you are welcome to come again and get another scan to see what your essential oils are doing for you! NOTE: Even though this event is drop-in, please still RSVP that you are coming so that we know roughly how many people to expect. Each time I go to convention I return feeling transformed and refreshed!!! Young Living Conventions are an amazing opportunity to learn more about Young Living products and the company, to meet new people to have fun with and network with, to learn how to grow your Young Living business and increase your financial abundance (for those of you participating in the business opportunity), and to find new ways that you can help those in your lives to achieve greater health and well-being! ​Please call Alishia's office landline at 403-775-0576 or e-mail info@divinebliss.ca for help getting registered for convention! Would you like to share Young Living products with your friends/family/co-workers? Gather a minimum of four of your friends/family and host a home or office party! Please contact Alishia at info@divinebliss.ca OR call 403-775-0576 (office phone number). Do you have a past relationship that continues to affect you negatively today? Is there someone who may no longer be a part of your life but you still think of them and you feel ready to be completely rid of them? Or is there someone in your present life who may be causing you harm and emotional and/or mental distress? This workshop consists of a guided visualization designed to help you cut negative energies or negative cords from a person who may have energetically attached to you. You will learn about essential oils that can be used to support this process and you will have the opportunity to use them in the meditation. Details: Have you considered the possibility that your past lives may be impacting your present life? Join us to learn about all of the clues around you in your current life that are powerful links to your past lifetimes and how past life knowledge can be used to help heal problems/struggles in your present life. We will discuss essential oils that can be used to deepen your past life meditations. As part of this workshop, participants will have the opportunity to experience a mini past life group meditation with essential oils. Location: Workshop space at 3916 1 Street NE (dark blue office building with First Place Realty/Law Office sign on the outside). Learn some great tips for cutting the harsh chemicals out of our lives! We'll be rolling up our sleeves and making bath bombs and deodorant using all-natural ingredients and therapeutic grade essential oils!!! You'll get to take some home for yourself and you'll also get a handout with the recipes so you can make more of these cost effective recipes on your own! We'll also show you how and where to buy more of all the products we'll be using. PLEASE BRING: A tupperware container to safely transport your bath bombs home while they are still hardening. Location: Life Science Publishing Calgary Office - 3300 14 Ave NE (Bay #2), Calgary, AB T2A 6J4. It's located a 30 second drive from the Premier Best Western (formerly Coast Plaza) Hotel entrance. When facing the front entrance of the Hotel, there are industrial Bay Complexes down the road to the left. Life Science is in the SECOND complex. 2nd door in on the left. 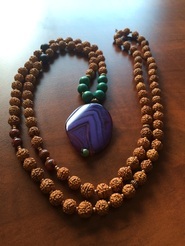 Mala bead necklaces have traditionally been used in meditation and prayer. However, many wear them for purposes such as healing parts of oneself and one's life, amplifying intuition and spiritual connectedness, blessing certain areas of one's life, and manifesting specific dreams/goals. Making your own Mala is a beautiful process through which you can incorporate blessings and intentions into your necklace. In this workshop you will be guided through the process of creating your own mala. All materials required to make your mala are included in the cost and will be provided. NOTE: I have acquired some beads that diffuse essential oils so you'll have the option of including a couple of these beads in your mala so that your mala diffuses essential oils!! What to bring: If you have your own beads that you wish to use, you are welcome to bring them; otherwise, please just bring water. Join us for a group meditation to celebrate the full moon! The full moon is a powerful time for transformation and moving forward, while letting go of what no longer serves us. We will be using essential oils to deepen our meditation this evening (they will be passed around the room)! No previous experience with meditation is necessary. Relax, connect, and experience personal growth and transformation in your life. Enjoy the power of meditation in a comfortable group of like-minded others! Chairs will be set up -- or you can sit on the floor (please bring a pillow or something comfortable to sit on). Curious about essential oils from ancient scripture? We have a special guest speaker who will be teaching an online class about the most significant plants, botanicals, materials, and resins in the Bible. Introduction to Using Essential Oils on your Pets! Join us for a fun (and amazing smelling!) evening to learn about the many benefits of using essential oils in your daily life (for things ranging from supporting cough/colds, joint/muscle pain, emotional healing, reducing household chemicals and so much more!). If you've been thinking you'd like to earn an extra stream of income, please join us! - Learn the different methods of using oils while practicing Reiki. - Be given the opportunity to practice Reiki with essential oils on yourself to experience the power of using these oils during a session. Fee: $20 (in advance, please click here) or $25 at the door. Location: 3916 1 Street NE (dark blue First Place Realty office building). Did you know that success in your profession/business, relationships, health and finances all begin with YOUR mindset?! Your mindset is KEY to: Reaching your goals, getting motivated and STAYing motivated, conquering procrastination, overcoming fear of failure or rejection, balancing your time, improving your relationships...and more! Join us to learn how we can use our minds in a remarkable new way to become more passionate, self-confident and intelligent in order to rapidly achieve our most significant goals. These trainings will dive deeper into Mindset, Goals, Motivation, and ultimately provide you with an Advanced Mindset for Success. Pre-registration: Required! Please call Alishia at 403-775-0576 or e-mail info@divinebliss.ca to register.